You don’t want to trust your Mercedes repair work to just anyone. In the Berkeley area the name you need to know is Berkeley Motor Works in Albany, CA. This is the right place for the Mercedes service you need. This team will take care of your high class luxury brand vehicle to give you the care and expertise you want. Every person that works on the Mercedes vehicles is a trained and certified specialist for this brand to make sure you can have the perfect care for your vehicle every time you bring it to the shop. Don’t trust a shop full of general technicians with the Mercedes service you need. As a high class European luxury brand you need to have the expertise of a Mercedes specialist to ensure you have the right care for your car. 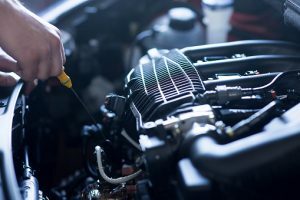 Whether you’re looking for a team to partner with you for the service you need or you’re looking for the best place for a Mercedes repair in the Berkeley area you need to come see the team at Berkeley Motor Works in Albany, CA and let them provide the service you need. A Mercedes specialist is the right person to trust with the service or repair of your vehicle. You don’t want a technician to mess up your high cost luxury vehicle and cause you lengthy issues. This means you need to trust the team with the experts on staff to perform the Mercedes repair you need in Berkeley. The right team to get this done for you is Berkeley Motor Works in Albany, Ca. With this team by your side the Mercedes service you need will be performed on your vehicle every time you bring your vehicle to this service location.